On August 17, 2011 an online petition was launched advocating for the establishment of an International Blues Music Day. Within a few months the petition-group was joined by thousands of members from around the world, comprising of blues enthusiasts, musicians, celebrities, and promoters. After reaching 15,000 members, a formula for an annual date to celebrate IBMD was established as the first Saturday in August of each year with the inaugural celebration on August 3, 2013. The initiative was the brainchild of world renowned blues musician Johnny Childs who also stars in the film The Junkman's Son and serves as the President of the NYC Blues Society. The IBMD organization and the NYC Blues Society are the lead nonprofit organizations charged with planning, promoting and producing this annual celebration. International Blues Music Day brings together communities, schools, artists, historians, academics, and blues enthusiasts all over the world to celebrate and learn about blues and its roots, future and impact; raise awareness of the need for intercultural dialogue and mutual understanding; and reinforce international cooperation and communication. Each year on the first Saturday of August, this internationally practiced art form is recognized for promoting peace, dialogue among cultures, diversity, and respect for human rights and human dignity, eradicating discrimination, promoting freedom of expression, fostering gender equality, and reinforcing the role of youth for social change. International Blues Music Day is the culmination of the Blues Festival Season which draws public attention to Blues and its extraordinary heritage. 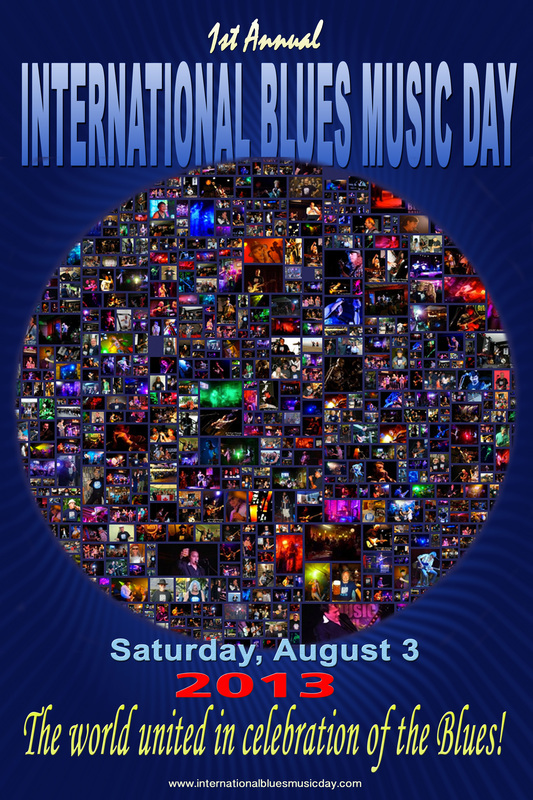 The NYC Blues Society, IBMD, associated arts organizations, venues and government outposts around the world hosted special events for the first annual International Blues Music Day on August 3, 2013 to honor this revered musical art form. Universities, libraries, schools, community centers, performing arts venues and arts organizations of all disciplines around the world marked the day through concerts, education programs, seminars, lectures, book readings, public jam sessions, master classes, photo exhibitions, dance recitals, film and documentary screenings, theater presentations and performances. In 2013, the NYC Blues Society & IBMD presented three high-profile programs: a daylong celebration, a blues film festival, and a sunset concert in New York City with multiple local, regional and world-renowned artists participating. 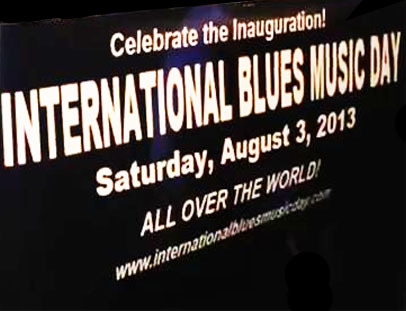 New York City has been named the 2013 Global Host City for International Blues Music Day. The city hosted a daylong series of Blues events including workshops and seminars, panels and roundtable discussions, film screenings, blues dancing, student master classes led by prominent musicians and educators, and a major evening performance broadcast worldwide. The NYC Blues Society and IBMD will continue their partnership to encourage schools, universities, libraries, arts organizations, community centers and other entities in UNESCO’s 195 member states to host Blues concerts and educational programs on International Blues Music Day in order to reach people of all ages and backgrounds. 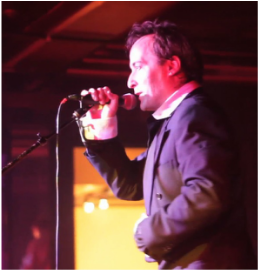 delivering inaugural speech at Webster Hall, NYC on August 2, 2013. 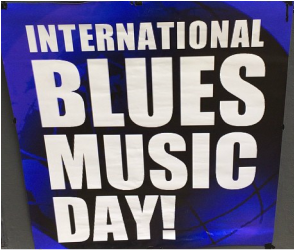 To add your celebration to our list of events happening on International Blues Music Day 2015, just click here.